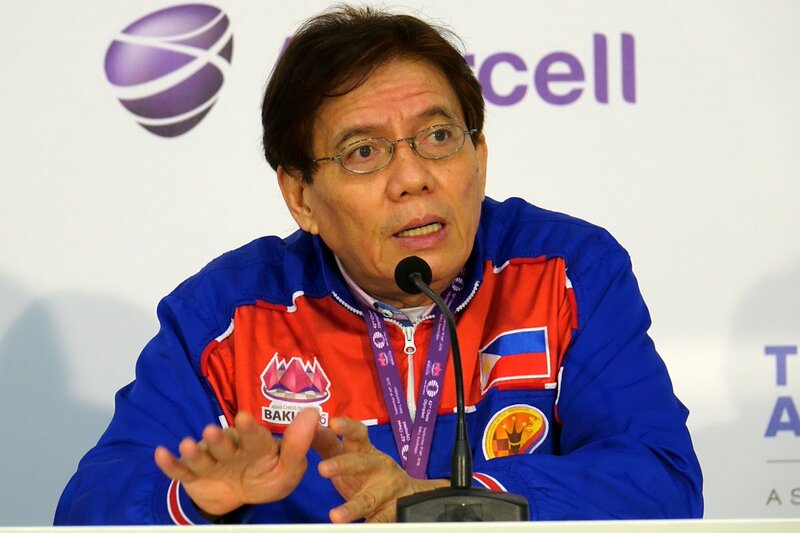 He is considered the strongest chess player the Philippines produced during the 1980s and 1990s, and has been Board 1 player for the Philippines in eighteen World Chess Olympiads. 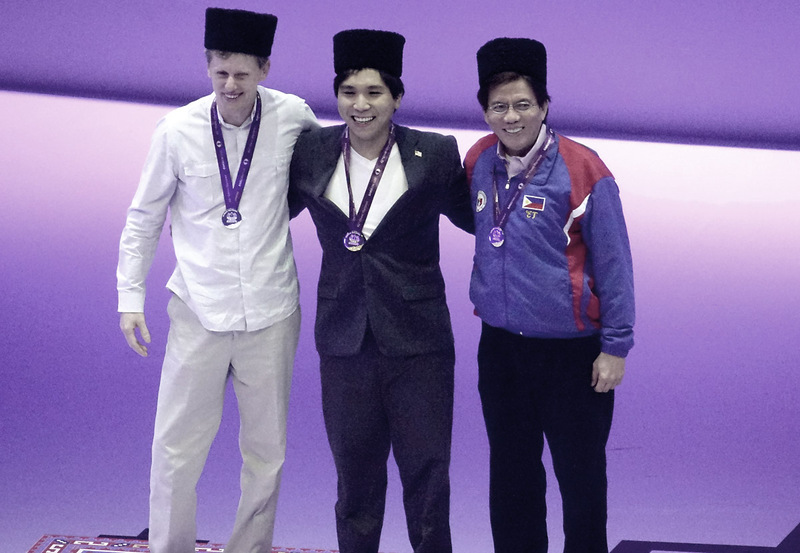 In 1974, then twenty-two years old, he became Asia’s first Grandmaster by winning the silver medal in the Chess Olympiad held in Nice, France. 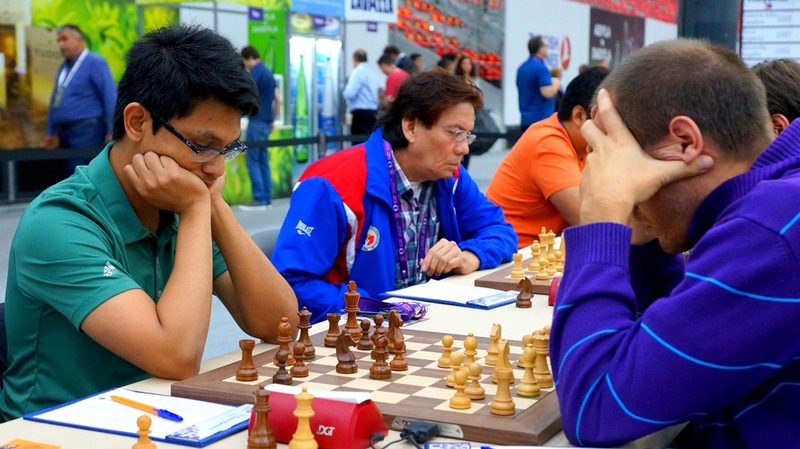 In a tournament in Manila in the 1976, Torre beat then reigning world chess champion Anatoly Karpov in a game that has become part of Filipino chess history. 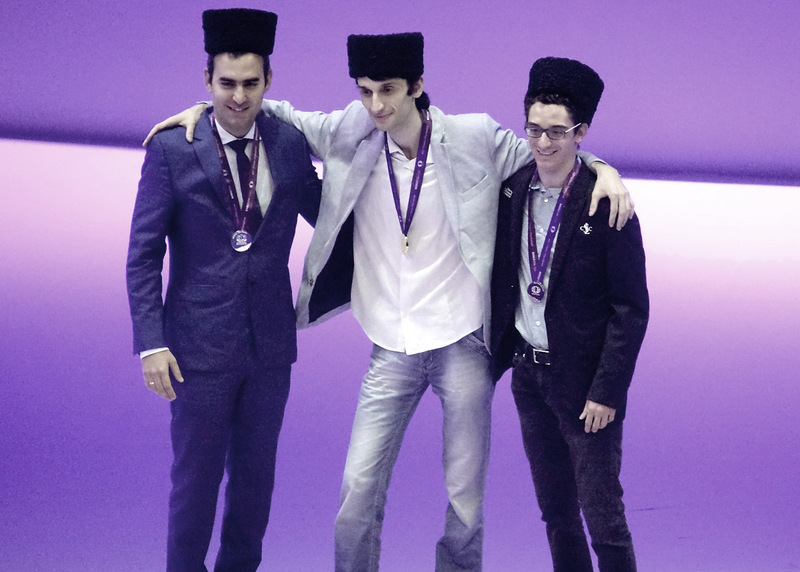 In 1982 he earned a spot in the World Candidates Chess Championships, where he faced the legendary Zoltan Ribli. 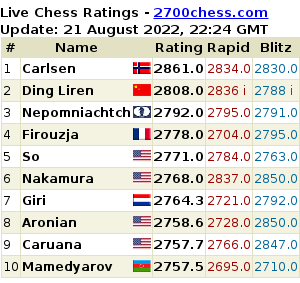 His ELO rating reached 2602 in 1985 and in 1986 Torre was ranked 40th in the world with an ELO Rating of 2619. He served as Fischer’s second in the 1992 World championship against Boris Spassky in Yugoslavia. 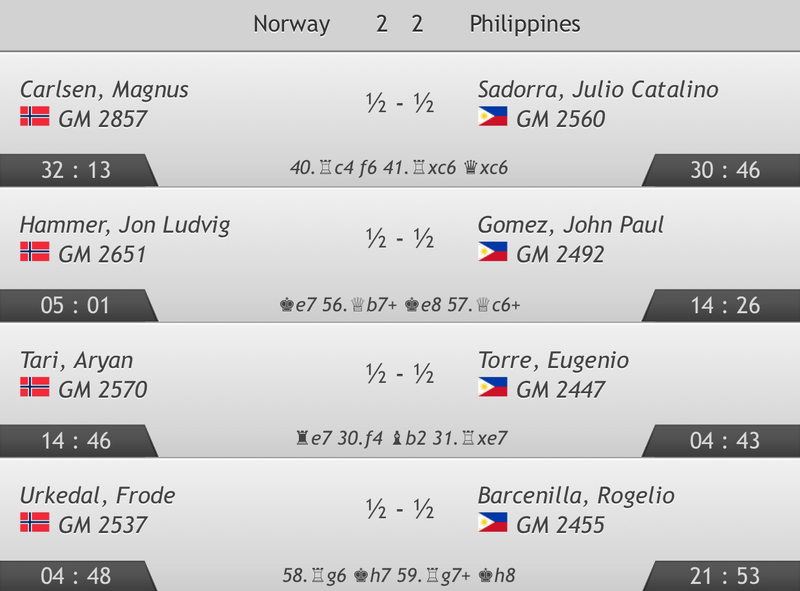 For the final round, GM Eugenio Torre delivered anew with a win for Team Philippines, but once again it was not enough, as GM John Paul Gomez on board 2 and GM Rogelio Barcenilla lost their games to the Aussies. 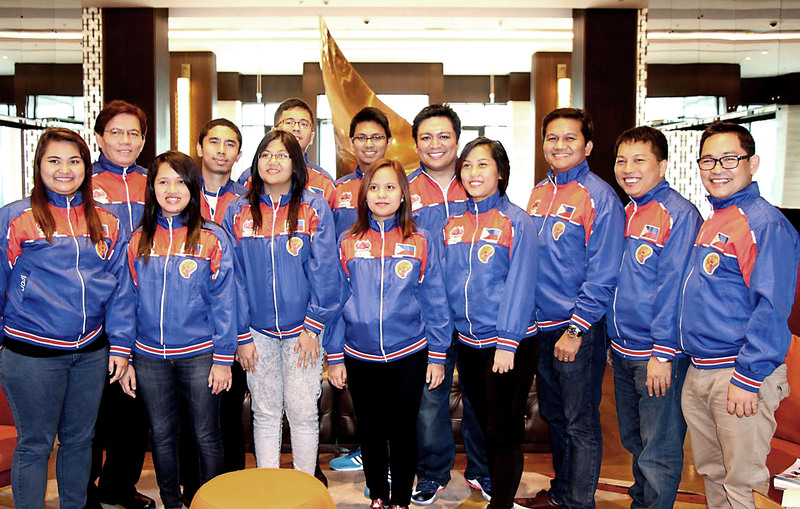 Thus, the Philippines, with 5 wins, 2 draws, and 4 losses, takes the 58th place in the final ranking, down from their 53rd seed at the start of the tournament. 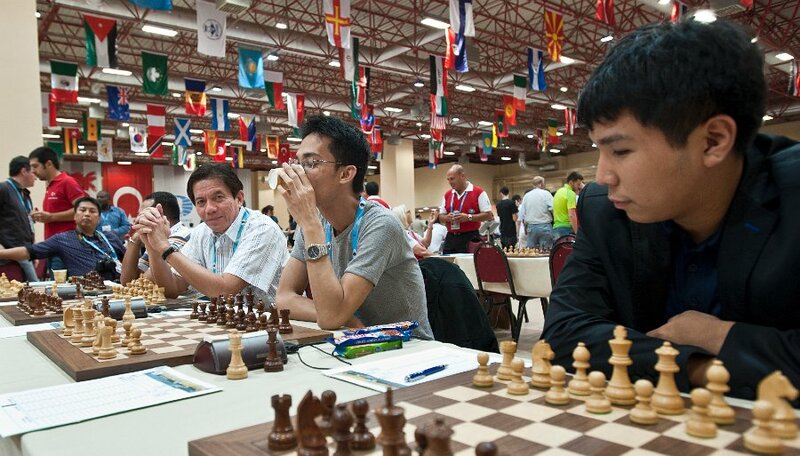 The 53rd seed Philippines wins all boards against the 63rd seed Scotland in Round 10 of Baku 2016 Chess Olympiad. 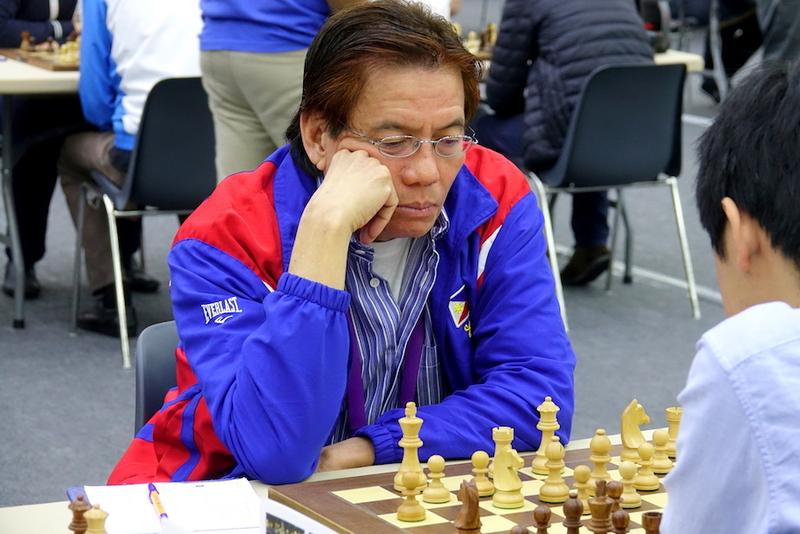 GM Eugene Torre continues with his winning streak in this event, now with 8 wins and 2 draws, for a total score of 9 points out of 10 games. 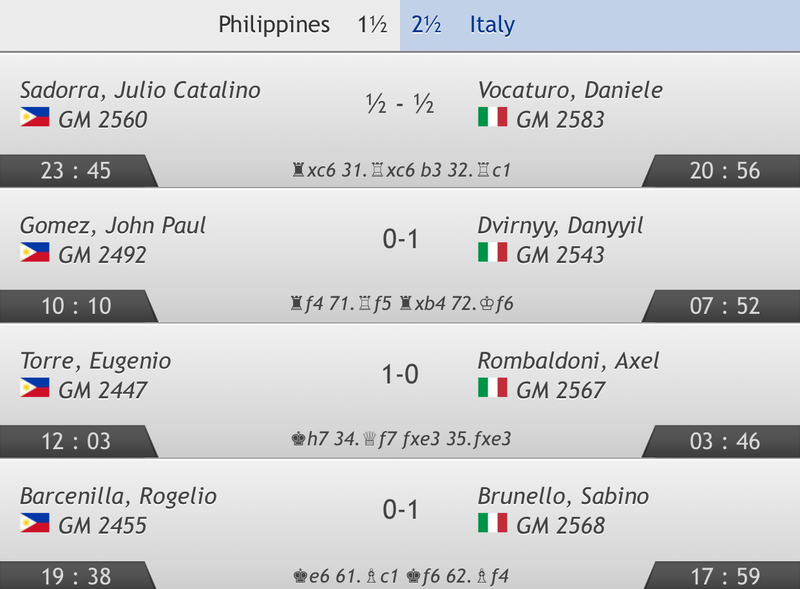 With this win, the Philippines is ranked number 39 after 10 rounds, and is set to face the 45th seed Australia in the final round. 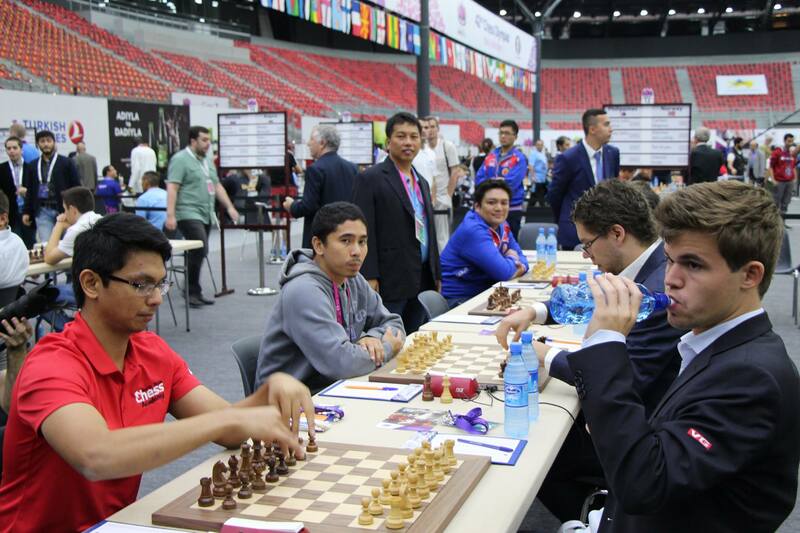 With seven wins and 2 draws, GM Eugenio Torre leads all the players in terms of points as he got 8 points out of 9 games as of the end of Round 9 in Baku 2016 Chess Olympiad. He has yet to lose a single game in this event.